Increase lip fullness, soften lip lines and decrease lower lid “bags” with JUVÉDERM VOLBELLA® XC, featuring advanced VYCROSS® technology for fewer side effects and longer results. JUVÉDERM VOLBELLA® XC is an ultra-soft, smooth gel approved by the FDA to plump the lips and minimize fine lines around the lips in adults over the age of 21. When injected, the hyaluronic acid-based product gently increases the fullness and softness of the lips, minimizes vertical lip lines and defines the border of the lips and the cupid’s bow. The results are subtle for those patients seeking a natural-looking result. JUVÉDERM VOLBELLA® XC is administered through a series of injections performed during a short office visit. Small amounts of the product are injected in and around the lips through a thin needle. After injecting the JUVÉDERM VOLBELLA® XC, the doctor may gently massage the treatment area to help the product integrate into the skin and evenly distribute. JUVÉDERM VOLBELLA® XC contains lidocaine, which is a numbing agent, to reduce sensitivity to pain. Additional anesthetic is not needed. Treatment generally takes between 15 to 30 minutes to complete. JUVÉDERM VOLBELLA® XC is formulated with VYCROSS®, a filler technology that improves the smoothness of the gel for a more natural look and feel. 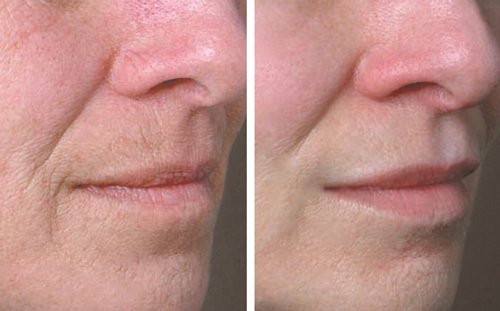 VYCROSS® technology, which is a component of other JUVÉDERM products like VOLUMA™ XC, also minimizes swelling and bruising and extends the life of the results. You can learn more about JUVÉDERM VOLBELLA® XC during a consultation with Dr. McCracken. 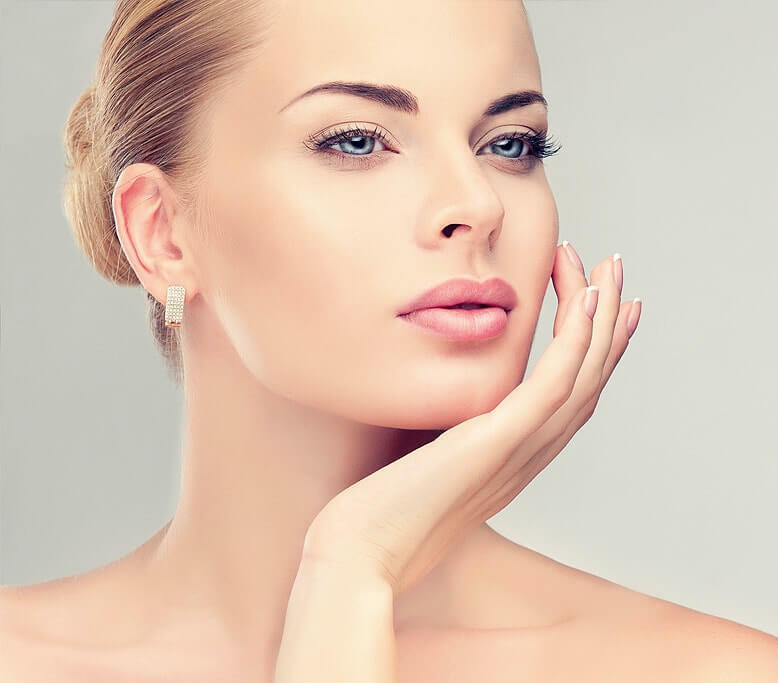 After examining your facial anatomy and identifying your age-related concerns, Dr. McCracken can explain the available treatment options, including JUVÉDERM VOLBELLA® XC, and recommend the most appropriate choice. Please request an appointment online or call the McCracken Eye and Face Institute today at 720-851-6600 to schedule an appointment. Is JUVÉDERM VOLBELLA® XC safe? Clinical studies have demonstrated the safety of JUVÉDERM VOLBELLA® XC and the FDA has cleared the product for safe use in adults over the age of 21. Where is JUVÉDERM VOLBELLA® XC injected? 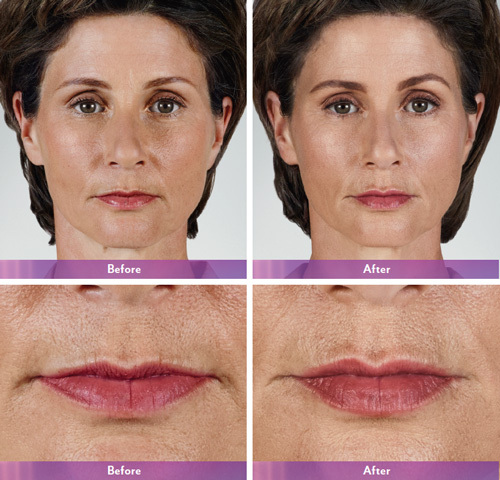 JUVÉDERM VOLBELLA® XC is generally injected into the surface of the lips and into the lines around the mouth. JUVÉDERM VOLBELLA® XC can also be injected below the eyes to fill the tear troughs and reduce the appearance of lower lid “bags.” The specific placement of the injections is tailored to the individual needs of the patient. Side effects are rare but include mild swelling, bruising, tenderness and redness at the injection site. Treatment with JUVÉDERM VOLBELLA® XC does not require recovery downtime, but patients should avoid strenuous exercise and sun exposure for the first 24 hours after treatment. Results have been shown to last for up to one year, at which point repeat treatment is needed to maintain the results.